This trapping SPOT fit the pattern of being in a location near a river. 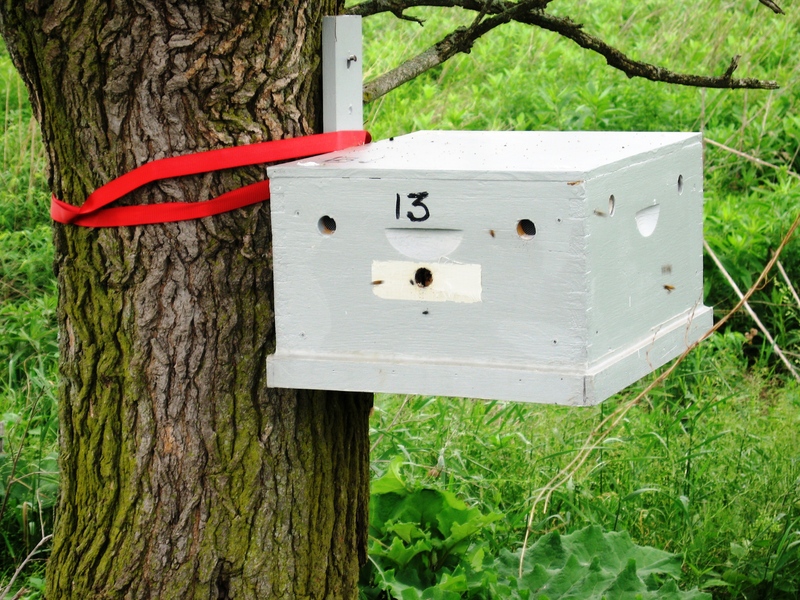 This is the time of year that we should be thinking of swarm trap locations for the coming season. Even if your traps aren’t made yet. Over the last several days though involved with things totally unrelated to bees, I was given permission for two new trapping locations. Ask neighbors, friends and acquaintances who live in areas that might be promising. A group of consistently promising locations in my area have been uninterrupted drainages. I live close to several large creeks, and small rivers in eastern Indiana. I don’t know if it is really the rivers or the fact that the waterways provide miles and miles of uninterrupted tree line. Landowners are more likely to leave trees alone because they are a hard to access. I have seen bees in sycamore, locust and several other species of tree. Perhaps it may have something to do with the bees being able to find trees large enough to have suitable cavities within. As with all living things a little habitat increases the chances of bees being in an area. All in all the reason doesn’t matter to me, bees are there so traps should be as well. This is a spot near a place that had bees many, many years ago. If you happen to know of any locations where people had bees many years ago, those are potential spots as well. I found out last year that one of my neighbors had bees 40+ years ago. No one has bees around me now. Four swarms came to traps at my house in 2011. I don’t think that it was a coincidence. Another one of my trap locations with a similar story was productive as well. Some of the forums I follow on line talk of spots near other beekeepers apiaries. While I am sure that this is a productive way of obtaining bees it is not my focus. It’s here just for completeness. Inevitably some of my bees probably will come from this source. I am more interested in feral colonies that I hope to be at least a couple generations removed from living in an apiary receiving syrup, manipulations, and treatments. I try to put traps within a mile or two of good looking spots. Trapping bees is much like fishing. Once you find a productive spot analyze it and look for other areas that are similar. This is called patterning when fishing. Patterning will increase the productivity of your traps. So get out there and start investigating. I am working on swarm trap plans, so be sure to check in periodically. 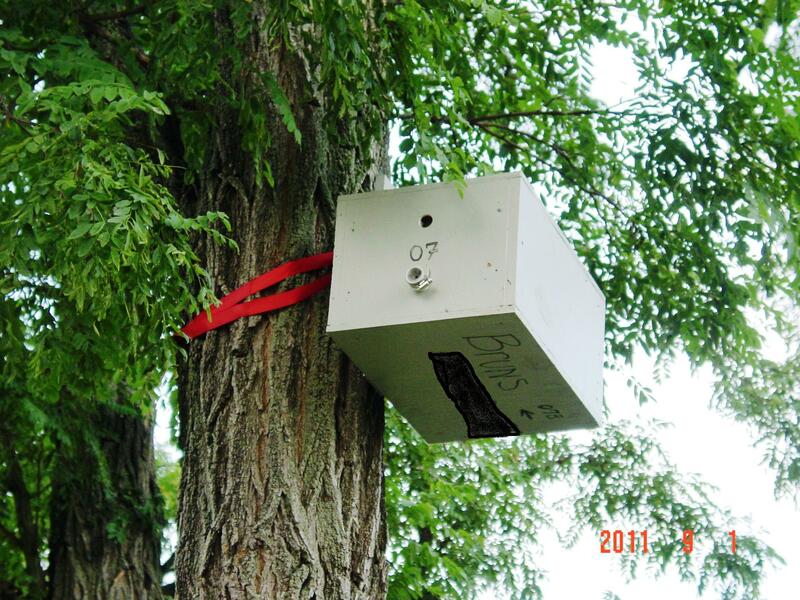 This entry was posted in Feral Bees, HowTo, Posts, Swarm Trapping, What's going on.. and tagged bait hive, bee genetics, bee tree, beekeeping, feral bees, feral hives, genetic resistance, Indiana beekepeing, Jason Bruns, natural beekeeping, swarm trap, swarm trapping, treatment free beekeeping. Bookmark the permalink.